Two LAVA posts in a row?! You Bet. Following yesterday's post on the Disney Parks exclusive "I LAVA YOU" pin, here we have a gorgeous LAVA inspired postcard sold only at the Pixar Studio Store in Emeryville, CA (again, not open to the public). I absolutely love this artwork as it's a pretty minimal style filled with simple straight lines, yet the design and colors are so rich and vibrant. I almost wish this was a large print to hang on my wall! The purple/pink sunset color scheme with the deep blue water completely captures that beautiful island feel. It's really like a genuine postcard one would find while on vacation to Hawaii (which I think was the point). I wonder who the artist is? 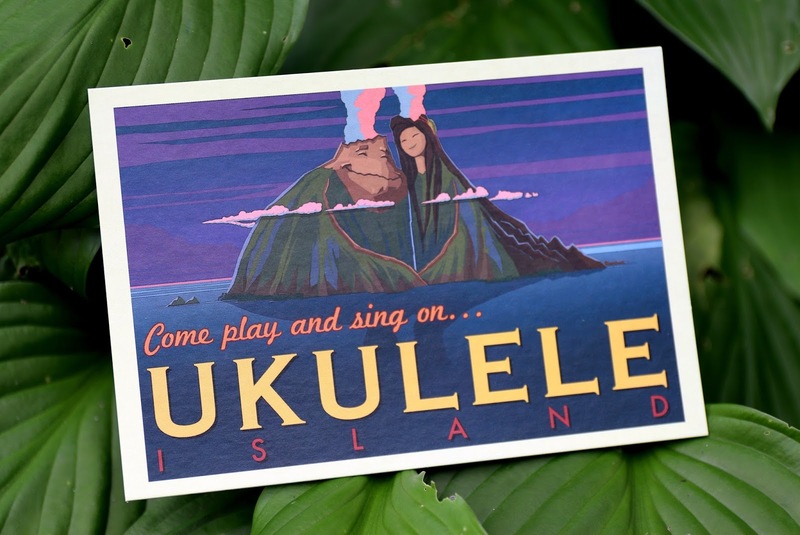 On the front is the text "Come Play and Sing on.... Ukulele Island." 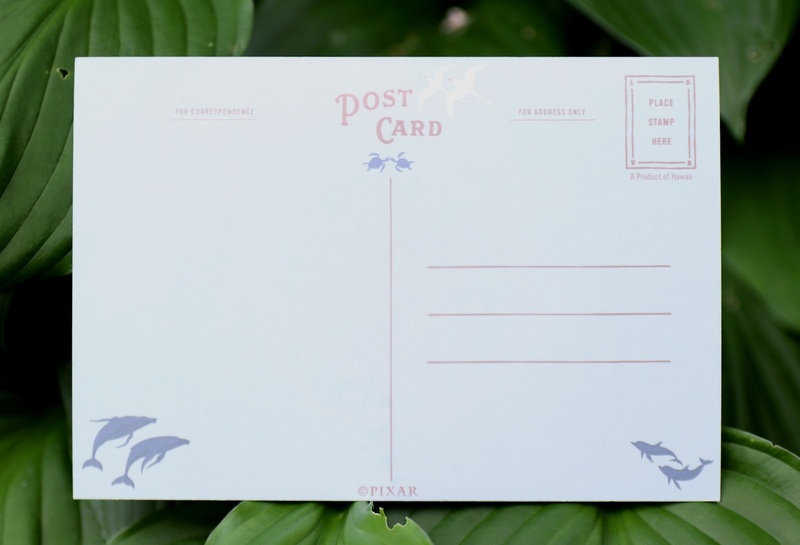 The back features small minimal graphics of some of the sea creature/bird "couples" seen in the short film and an overall fantastic layout. It states that it's an actual "Product of Hawaii", but is it really? I feel like it could be decorative text for aesthetic, but who knows. Either way, what a great look overall. It's all very calming. This is just a smidge bigger than a standard 4x6 postcard, but it's basically right around that size. As I've mentioned, there's hardly any LAVA merch out there, so it's a real treat to own this as part of my collection (I didn't even know it existed until I received it!). A big thanks to my friend [Disney freelance Artist] Jerrod Maruyama who surprised me with this in a recent care package. I've never been lucky enough to go to the actual Pixar Studio Store, but thanks to friends like Jerrod, I can get a little taste of it at home! I lava it. What are your thoughts?